Fred K. Herrmann maintains a diverse litigation practice. 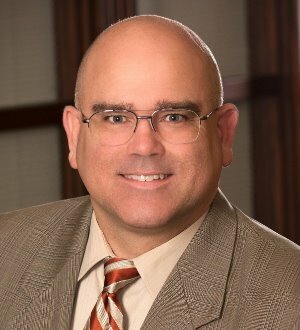 He has substantial experience in class action defense, multidistrict litigation, antitrust, patent and other intellectual property litigation, attorney and other professional liability defense, and contract disputes, as well as supply chain and other disputes implicating the Uniform Commercial Code. Fred has tried cases in state and federal courts, and has filed briefs and argued cases in state and federal appellate courts. Fred has handled a wide variety of statutory and common law claims for clients including automotive industry suppliers and OEMs, computer systems manufacturers, software developers, pharmaceutical companies, dietary supplement companies, beverage manufacturers and distributors, recording industry firms, tire manufacturers, manufacturers of specialized textiles, automotive dealerships, emissions testing equipment manufacturers, oil and gas companies, NASCAR race teams, hospitals, aviation firms, banks and commercial lenders, municipalities, retailers, industrial machinery brokers, land developers, religious organizations, franchisors, wireless communications companies, accounting firms, law firms, insurance companies, and manufacturers of explosives. Fred is the Chair of the Representative Assembly, the final policymaking body of the State Bar of Michigan. He is a member of the Board of Commissioners of the State Bar of Michigan, and a Fellow of the Michigan State Bar Foundation. In the federal arena, Fred is the Program Chair of the Federal Bar Association, Eastern District of Michigan Chapter, and a Fellow of the American Bar Foundation. Prior to practicing law, and following graduation from the United States Naval Academy, Fred served as a logistics officer in the United States Marine Corps for five years, including being deployed overseas with Second Battalion, Ninth Marines, an infantry battalion, and then served on the logistics staff of the First Marine Division, Camp Pendleton, California. He subsequently served as a reservist with Detroit’s own First Battalion, Twenty-fourth Marines, as a logistics officer and H&S Company Commander.